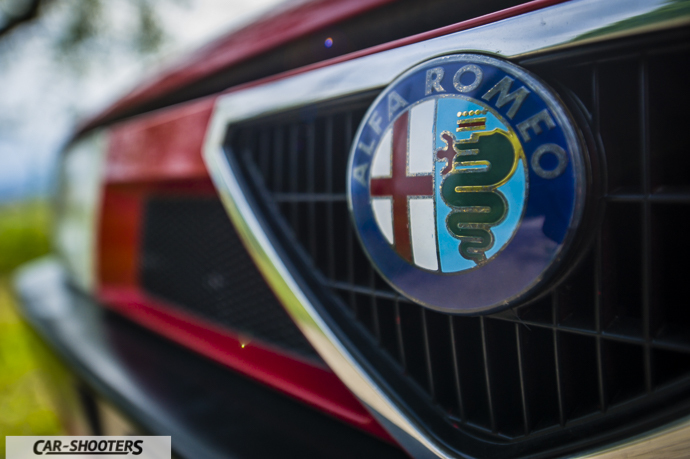 Some days ago the Alfa Romeo presented the Giulia, the car of the brand’s revival, the new true Alfa. But when the true Alfas has finished? And what made them so special? 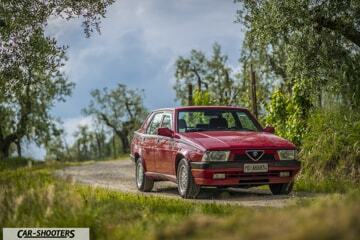 In my opinion the last true Alfa Romeo was the 75. It is in fact the last with the Transaxle layout that has started with the Alfetta, with front longitudinal engine and gearbox at the rear the differential, without forgetting that it is also the last 100% made in Arese. 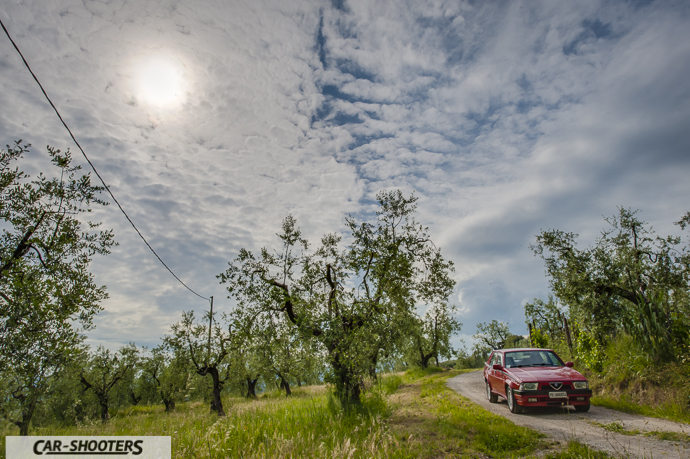 We are today with our friend Luca, owner of a superb Alfa Romeo 75 2.0 Twin Spark. 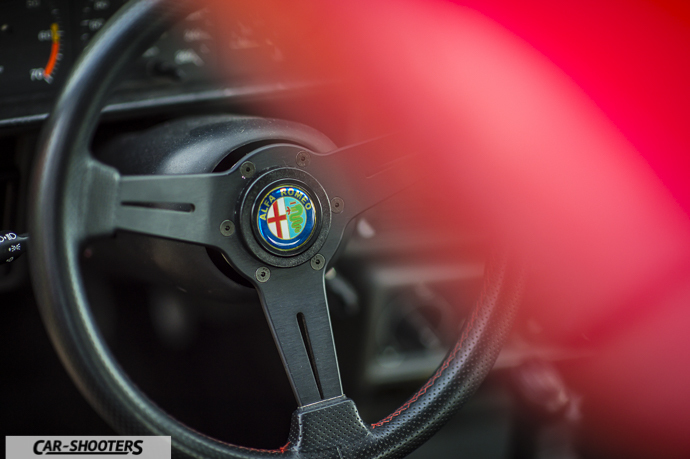 It was 1982 when the K1 project code was assigned to Ermanno Cressoni, director of the Centro Stile Alfa Romeo. 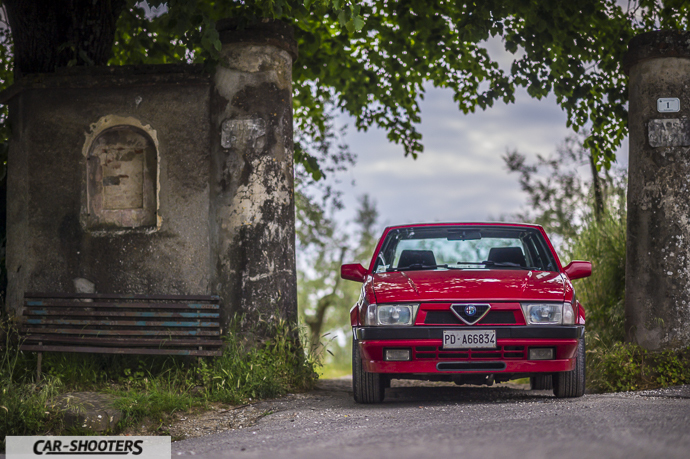 The goal was to replace the Giulietta, a successful midsize sedan characterized by extremely wedge-shaped line. 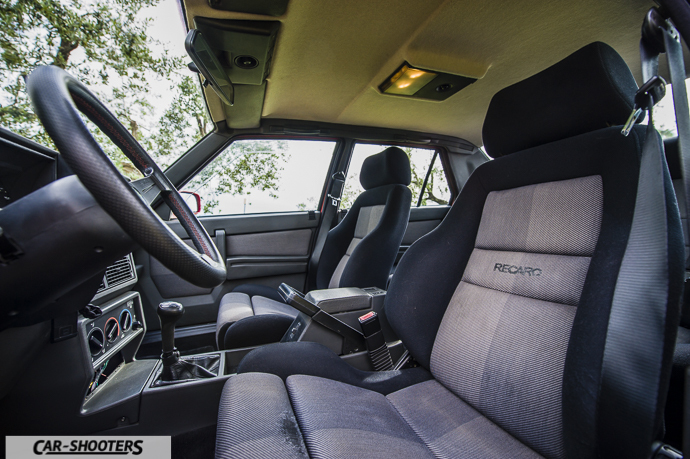 The result stylistically was not up to the clean lines of the progenitor, however, is surely one of the most personal and the most successful cars of those years. Considering the very limited funds allocated to the project, the result was great. 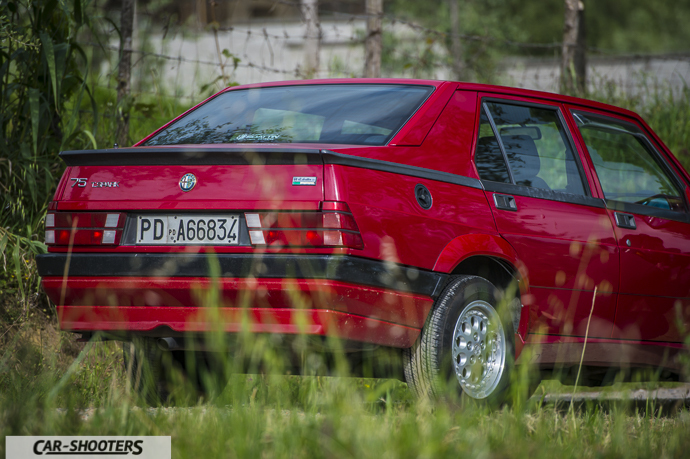 The debut on the road has been done officially in May 1985, for the 75 years anniversary of the Alfa Romeo brand, that’s why the name “75”. 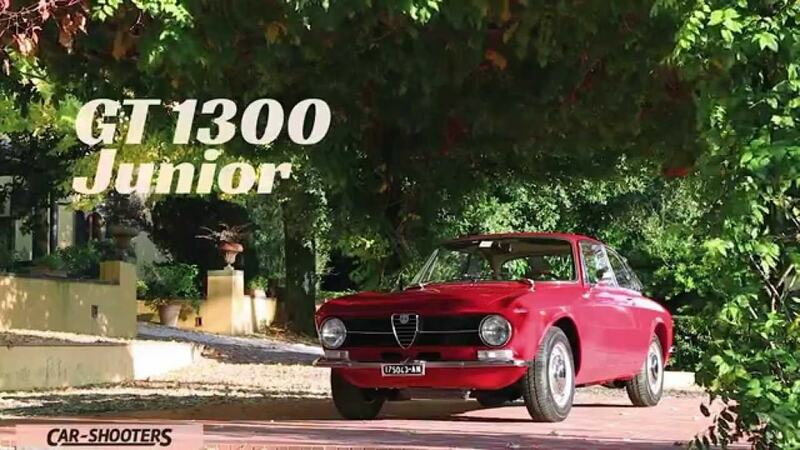 As for the engines, initially they were transplanted engines of the Giulietta, except the 1.3, then 1.6, 1.8 and 2.0. As top of the range on the quadrifoglio was equipped a 6 cylinders aluminium engine, 2.5 first and then brought to 3.0 designed by Eng. Giuseppe Busso and called “the Arese Violin”. Later it will also be available with a 1.8 engine turbo 2.5 V6 and similar services to the Twin Spark engine. 1985, as mentioned above, was not a prosperous year from an economic point of view for the brand, takes place at this time the transfer of ownership by IRI to Fiat. The mechanical setting remains that the 1972 Alfetta which still looks good at all, not even against the fierce German competition. In those years it must fight with the Mercedes 190 and the BMW 3 series E30. Driving pleasure is at the top, there are the forecarriage wishbones with short shock absorbers and torsion bars at the rear De Dion rigid bridge. 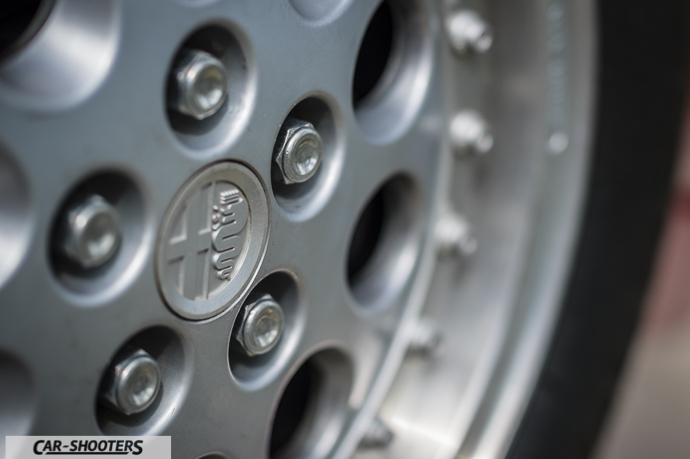 To reduce unsprung weight of the rear brake discs are placed side by side to the differential, to the delight of the mechanics when they will have to change discs or tablets. 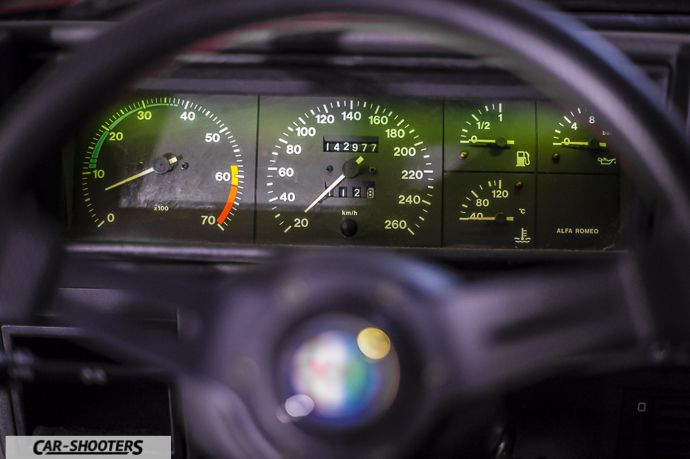 Transaxle layout provides optimal distribution of weight, there are also some cons; the gearbox due to the long levers is worthy of a truck especially when compared to the wonderful change of Giulia series. The engine tends to have heightened inertia when getting off speed, is typical scratch the second gear in a fast start if you do not know the machine. All this does not matter, and Luca agrees with us. Just slip a few corners “with a knife between his teeth” to smile and forget to be driving a car that can go well also to bring their children to school. About even large test drivers as Giorgio Langella who have honed driving dynamics on the track at Balocco. We come now to the Luca’s car, it is a 2.0 Twin Spark Allestimento Sportivo Numerato. 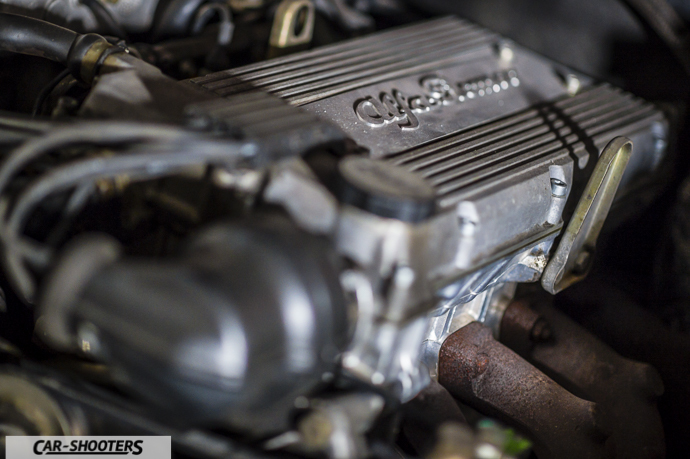 The excellence of Alfa Romeo engines was due to the distribution double overhead cam head, other manufacturers had already embarked on that road, at the same introduction of electronic fuel injection, then by filing the technological step that separated them from the snake. 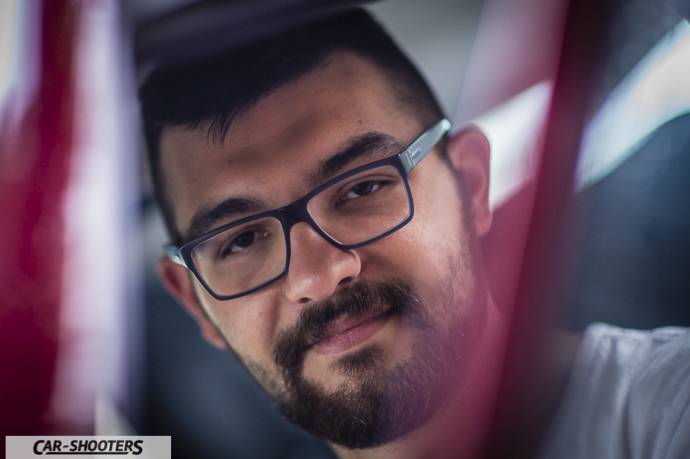 Even with limited resources, in Arese begins a great deal of research and experimentation to get a new engine able to pull out the competition. After several assumptions the choice falls on an amendment to the DOHC 2.0, the valves are inclined to each other of 46 degrees (tight head) instead of 80 and introduced a double switch with two candles. This modification allows a better combustion and the possibility of using valves from the larger diameter. In this way, together with a variable valve patented by Alfa Romeo step, you reach the power of 148CV against the previous 2.0 128CV. 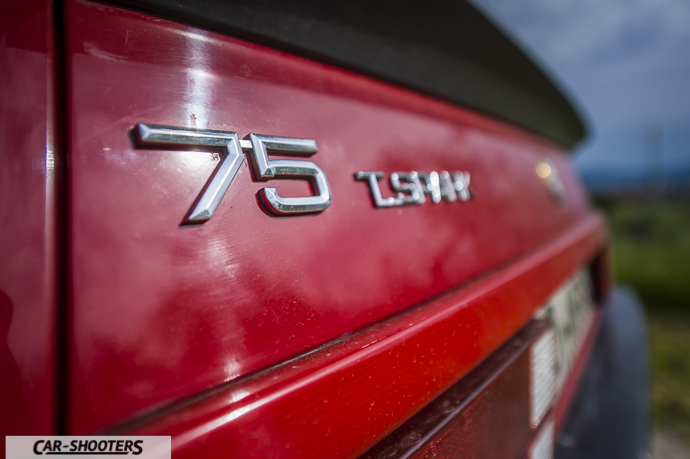 The 75 equipped with the two-liter Twin Spark will be sucked most of the time on veolce market. top speed of 205 km / h and 0-100 in 8.2s. To enhance the already cornering capability will be offered to a limited slip differential to 25% range. Speaking to his 75 Luca tells us how the eyes of many to appear as the car of the underworld, the car more precisely robbery. 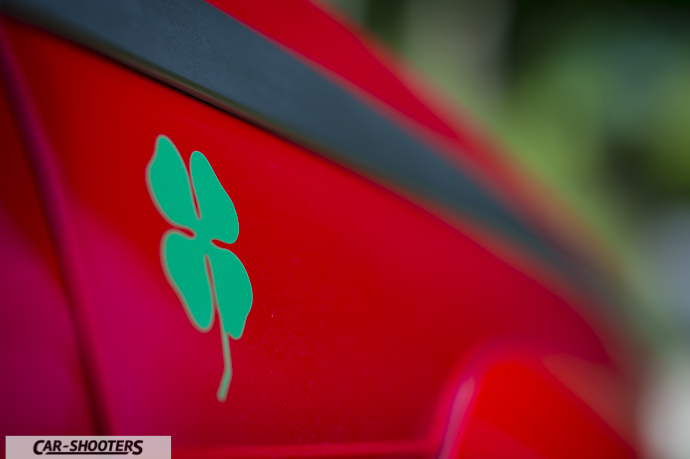 Surely by Giulia then move Alfetta, Giulietta, and finally the 75 plus great sporting careers come to mind chases steaming wheel, but it does also reflect how to chase those who fled there were always police or carabinieri with Alfa Romeo. 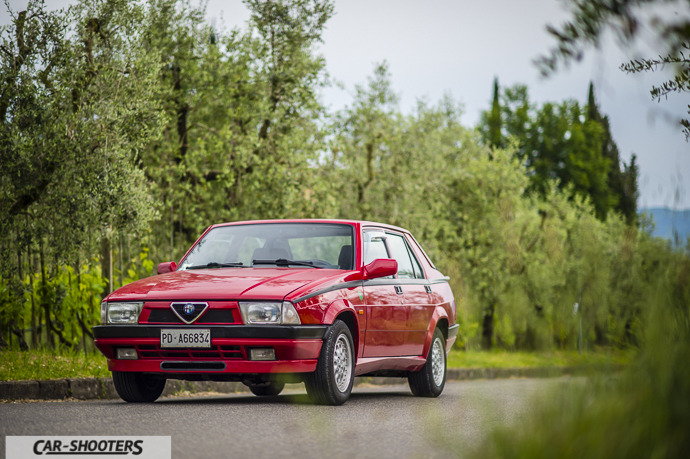 Pursuits therefore “single-brand”, also because to keep up to an Alfa Romeo we wanted an Alfa Romeo, at least up to 75. 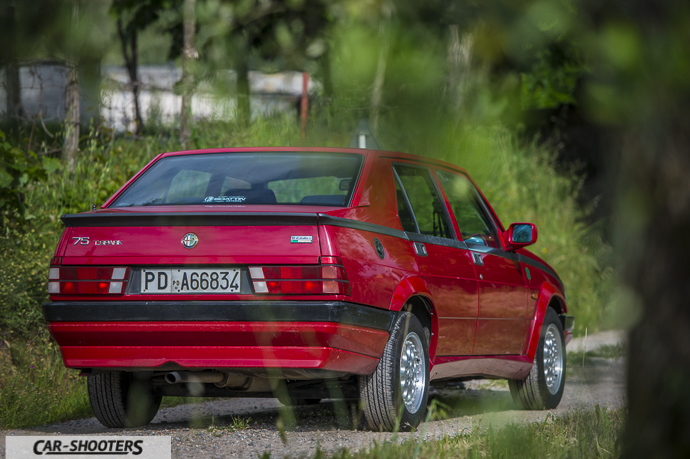 Try to talk of Alfa 75 with a police officer or a middle-aged policeman, the eyes begin to shine the memory drive so agile and angry and then having to sadly admit the decline of these features with later models. 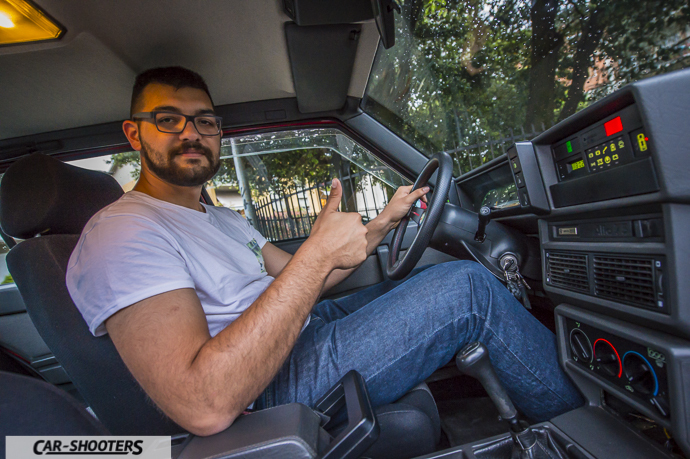 Today we are starting to become collector car, wanting the least rare versions can also be used every day, the more equipped ones also have all the necessary comforts. Driving it today is definitely a nice effect, you want to run. 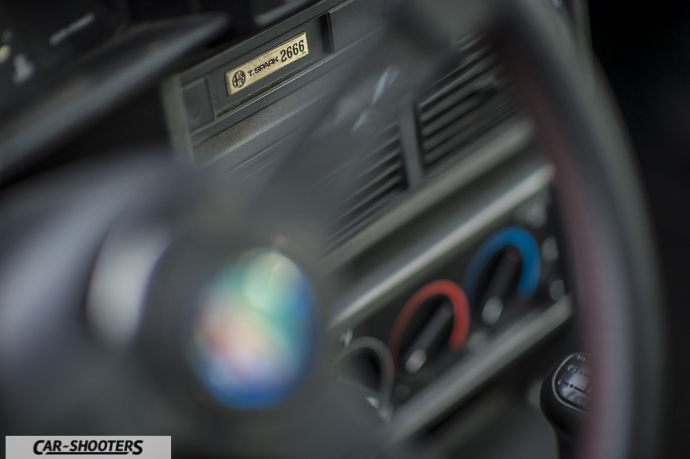 Many features which at the time were “angry” today make us smile as the car position embedded in the bottom front of the gear lever, the most difficult place to reach without contortions could not find it. Or try to open a window, too easy a command on the door, no, do not look for it on the center console to the German, here it is put on top, next to the rear view mirror. Try to run the Check Control, it is more likely to detect a fault in interpreting the oracle. No matter all this, ride it gives great satisfaction, since the engine sound to get to the great driving dynamics. 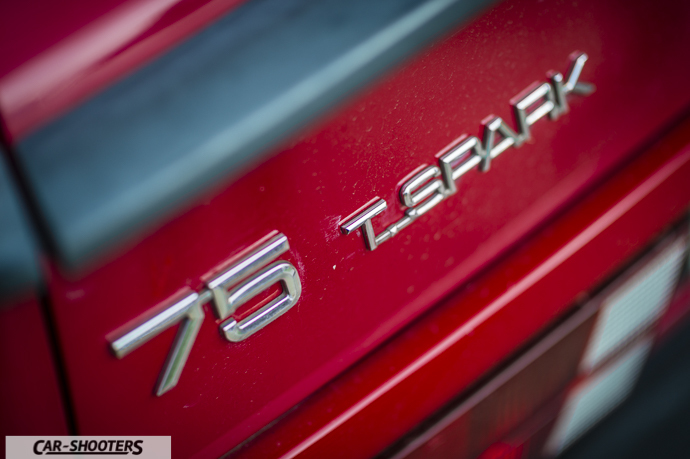 In short, if you want the excitement of a true Alfa Romeo, the 75 is the last that can give … For now.